Without further ado, here are some creative and useful re-purposing options for your corks. What other ideas can you add to the list? Wine Cork Candle Holder - a classy piece for the home or as decor for your next event. Wine Cork Stamps - the possibilities are endless with these cute little homemade stamps! 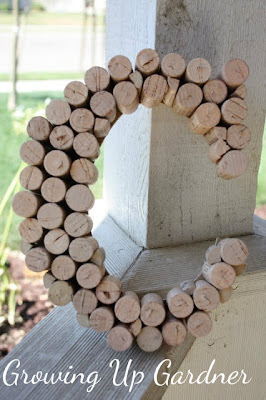 Wine Cork Wreath - whether for the holidays or every day use, wine cork wreaths are a great way to show your love of wine to all who enter your home. Wine Cork Succulent Planters - adorable and eco-friendly! 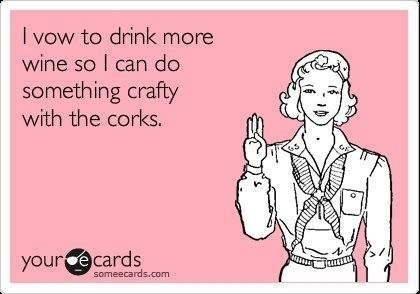 Wine Cork Keychains are easy and helpful. They can also be used as gifts at your next event. Wine Cork Planter Labels are a cheap and easy way to identify garden spaces. This DIY Wine Cork Board is chic and useful. These champagne cork knobs are a DIY'ers dream. Wine Cork charms are easy to make, fully customizable, and sure to be a hit at your next party! Wine Cork Magnets will jazz up any refrigerator. Use your corks as mini journals for the experiences you've had, these are sure to bring some smiles as you reminisce.